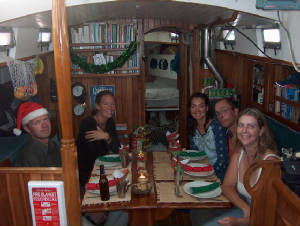 We left Fiji on the 12th of November 2004 to head south to New Zealand for the cyclone season. We had a passage which was mostly to windward, but arrived in time to miss a 40knot gale a few days later. 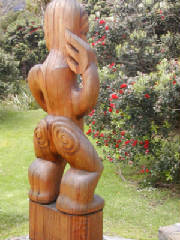 For our stay in the North Island and for Christmas Charmain’s friend Anita came to visit from South Africa. We had unseasonally cold weather for all of the December and our trip to the famous extinct volcanoe area of Tongariro was not much fun due to snow and bad weather. The rest of the 6 month stay was spent sailing down the east coast of the North and South Islands, visiting various coastal and inland areas. Unfortunately our plans for sailing to Fiordland had to be cancelled due to a mast problem and lack of time. The last 2 months we spent in Nelson, did some travelling, Mike had a knee operation. 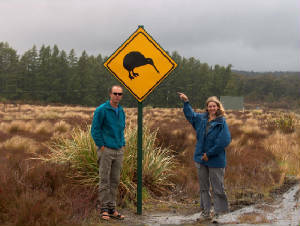 Our friends Gavin and Sue from Australia spent a couple of weeks with us in the Nelson area. Mike also repainted the boat and did a lot of well needed work while Charmain went to visit family in South Africa. 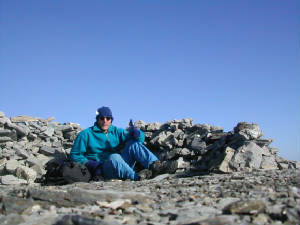 We finally left New Zealand on the 24 th of May 2005 after celebrating Mike’s 40th birthday in the mountains. After careful planning and waiting for good weather to cross the Tasman Sea to go to Lord Howe island, we had a tough trip with several cold fronts passing over us with scary seas. We eventually decided to head north to the trades and arrived 14 days later in New Caledonia. Look out for the kiwis!